Magento is a professional, flexible and feature rich eCommerce CMS that offers full control over your online store. 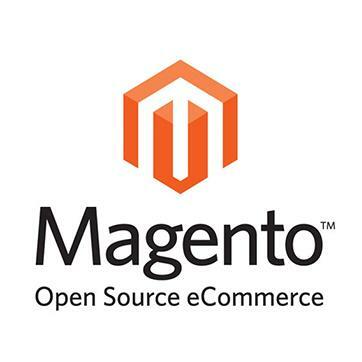 Considered as one of the most popular open source software, developers can easily adapt and add features either by creating their own module or by installing one from the Magento Connect Marketplace. Because of its integrity and security, it has been one of the top choices to use for e-commerce needs by famous retailer brands in the industry. Its intuitive administration interface makes it easy for merchants to manage their online presence. Layered navigation pro – breadcrumbs-like categories display with price and customizable feature. Why we love it: Helps merchants to highlight categories on their store while improving customer experience. Ebizmarts SagePay – Integrate and accept payments using SagePay integration. Why we love it: Very easy and secure method of accepting payments using SagePay. It has the ability to accept credit cards and Paypal with different options of checkout process. Reviews booster – Automatically send reminders to leave a review after they bought something on your online shop. Why we love it: Convenient for reminding customers to leave product review. It has the option for the store owners to accept and decline reviews. Customers who purchased – Displays items usually purchased altogether. Perfect for marketing campaign to raise sales. Why we love it: Helps merchants to boost sales based on relevant products. Magento booster – Speeds up the performance of your Magento store and significantly lowers the server load. Why we love it: Improves server speed through website caching and increases website page loading time. Generate and Import Coupons – Import and generate thousands of coupons per shopping cart price rule. Export coupon codes for your affiliates. Why we love it: Makes life easier if you have hundreds of coupons with you!